I’m all about the berry tones for autumn. I think berry tones match beautifully with ginger locks and pale skin. But let’s be real, berry tones suit everyone. 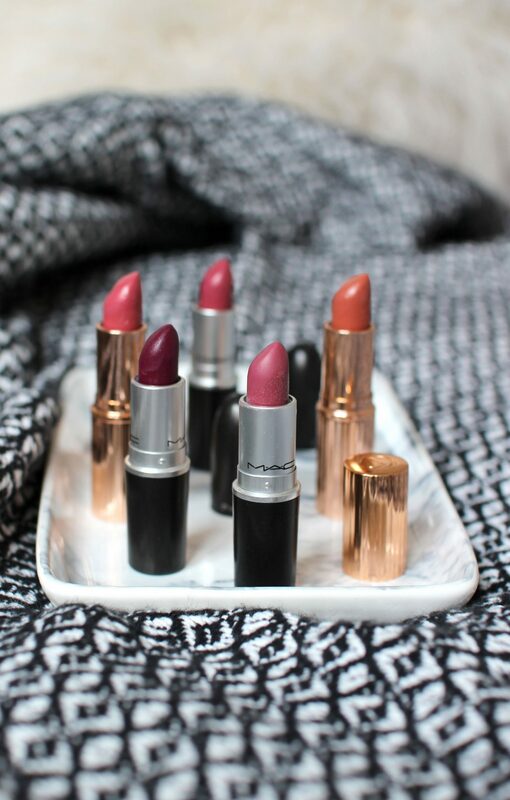 I’ve turned my dressing table upside down, swatching every single berry and burgundy shades I own, and have narrowed down five of my favourite Autumnal lipsticks – the ones I’m forever reaching for as soon as the weather turns a bit colder – when the pumpkin spiced latte’s return and the leaves turn crisp and golden. 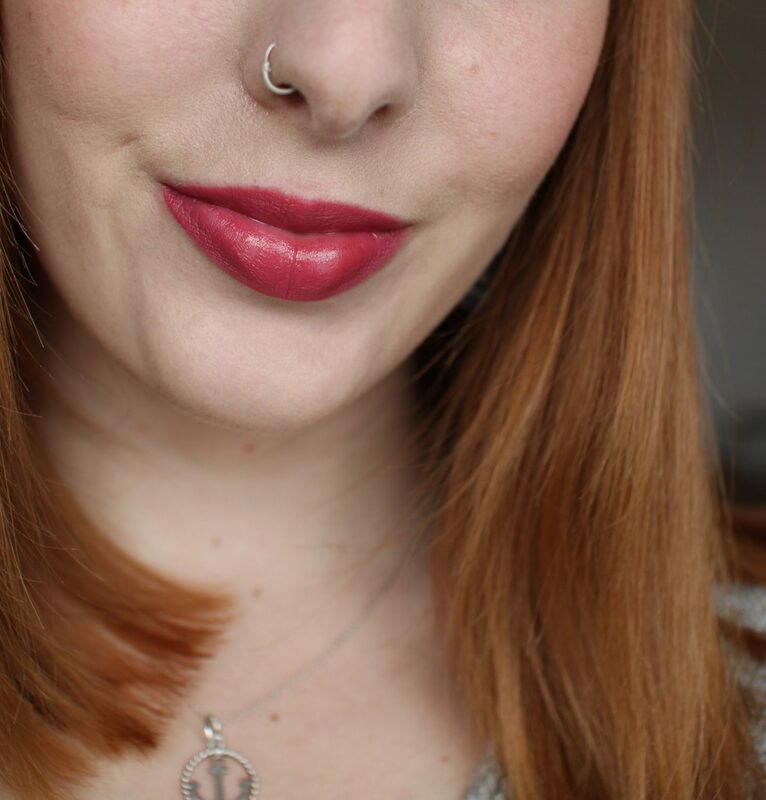 The one I get the most wear out of (once September rolls around) has to be Charlotte Tilbury’s Kiss Chase (Limited Editon) – a beautiful vibrant berry tone curated to suit any skin tone. This shade is absolutely gorgeous and I’m so sad it’s limited edition. Why, CT, why?! I feel like I’m taunting you all by including this in my autumnal favourites, so apologies. On the flip side, MAC’s Craving – which is also a favourite of mine (and I discuss a little further down) is very similar to this shade. Plumful is fairly similar too – although Plumful is a bit more sheer than Kiss Chase. 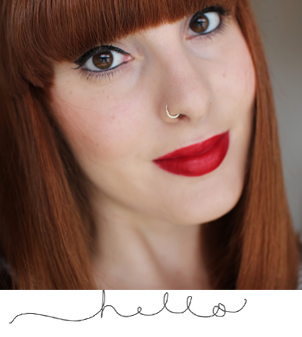 Any who, I’m a big fan of Charlotte Tilbury’s lippys. If you’re a long time reader, then I’m sure you’re sick of me raving about them yet again. But, I just can’t help myself and with good reason too – they are so lovely and moisturising on the lips. The shades are perfect and the longevity of these are honestly so good. And, well the packaging is on another level – look at that rose gold art deco beautifulness. Perfection, pure perfection. Full review of Kiss Chase here. 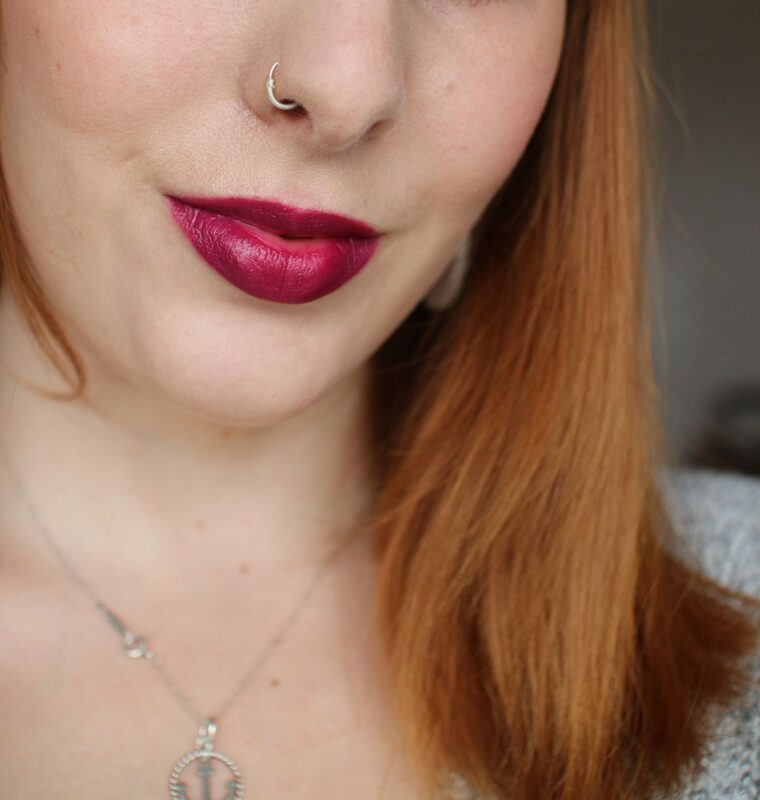 MAC’s Plumful, a sheer plum tone, lustree finish. Although Plumful is pretty sheer, you can layer it on a few times for a more intensified colour. Being a lustree finish means it’s super moisturising on the lips, which is ideal for this time of year – as your lips need that extra bit of care due to weather changes. It’s the perfect autumnal every day shade that you can wear to work, out for dinner or even wear it to the gym… wherever you like! Full review of Plumful here. MAC’s Rebel. A midtonal cream plum satin finish. Rebel is a bit of a funny one, it looks much darker when standing alone on the shelf (almost intimidating to look at), however, once you transfer it onto the lips, it’s a much lighter, beautiful plum-like finish. It’s also another creamy and moisturising formula which is great for this kind of weather. As well as this, it’s also build-able like Plumful. It’s the one I tend to favour when I want to make more of a statement and have my ‘girl power’ game face on. P.S. How beautiful does it look on the lips?! Full review of Rebel here. Charlotte Tilbury’s Stoned Rose. If you want to mix things up a bit and you’re a little sick of wearing berry tones, try Stoned Rose. It’s a beautiful burnt orange-brown tone with a tinge of pink – the one that will add a bit of warmth to your look. This shade actually reminds me of crisp crunchy golden autumn leaves – mmm, such a comforting and satisfying feeling when you crunch the leaves as you walk. As with all Charlotte Tilbury lipsticks, it glides on beautifully, is incredibly moisturising and the longevity is amaze balls. Here’s a fun fact that you probably won’t care about… Stoned Rose was a very close contender for my wedding lipstick. I was almost set on wearing it and then I changed my mind at the very last minute as you do. Fuss pot bride over here. Full review of Stoned Rose here. 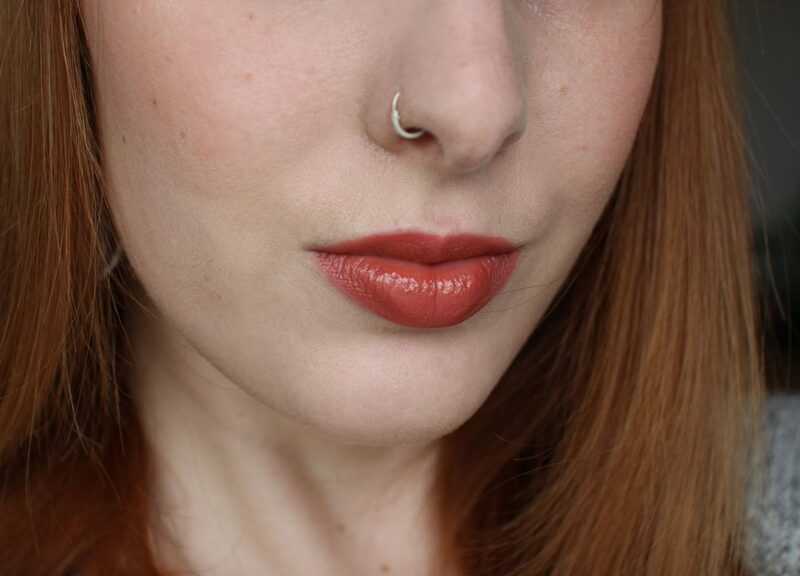 And last but by no means least, my last favourite autumnal lippy is MAC’s Craving. 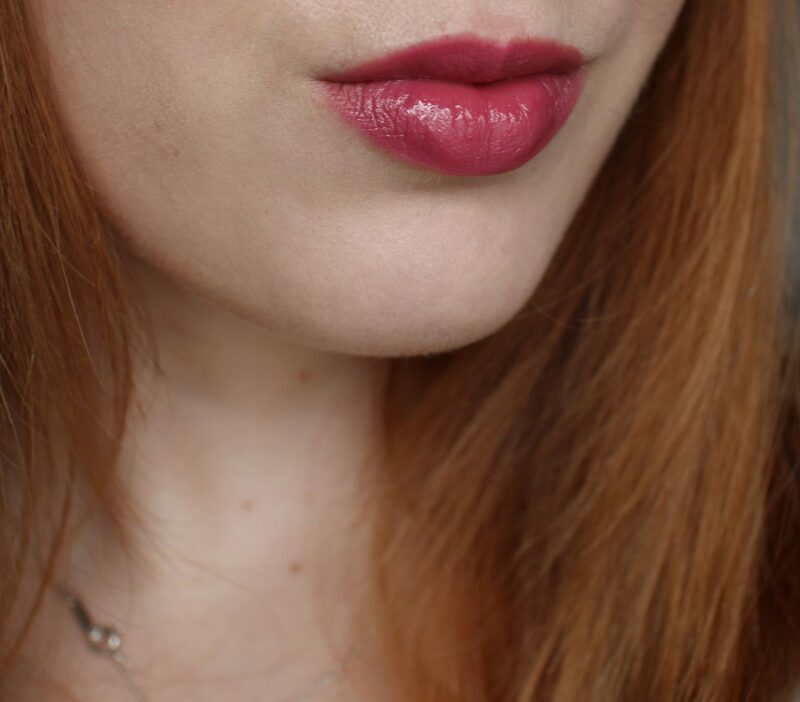 A gorgeous pinky-plum hue that looks stunning on the lips. I’m forever getting compliments whenever I wear this one. 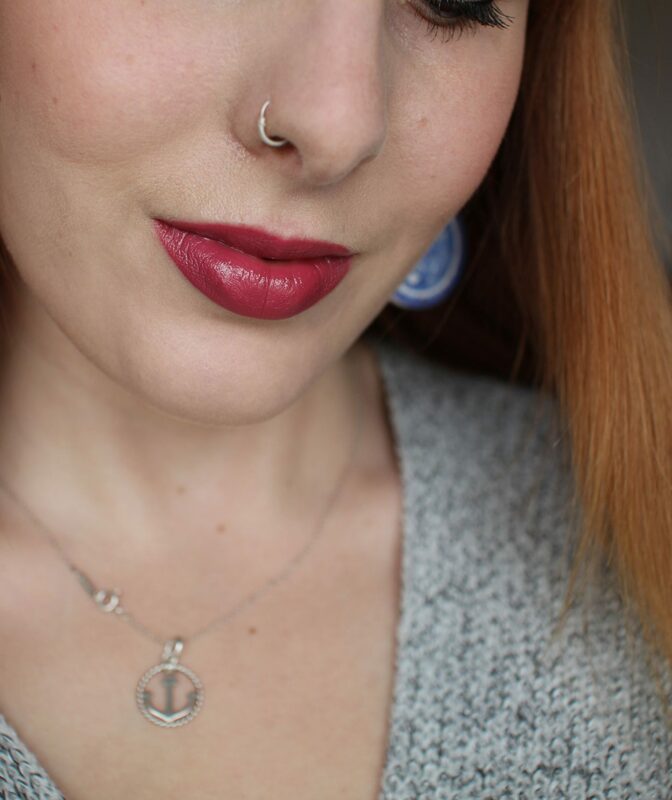 Craving is an amplified finish – my favourite MAC formulas. 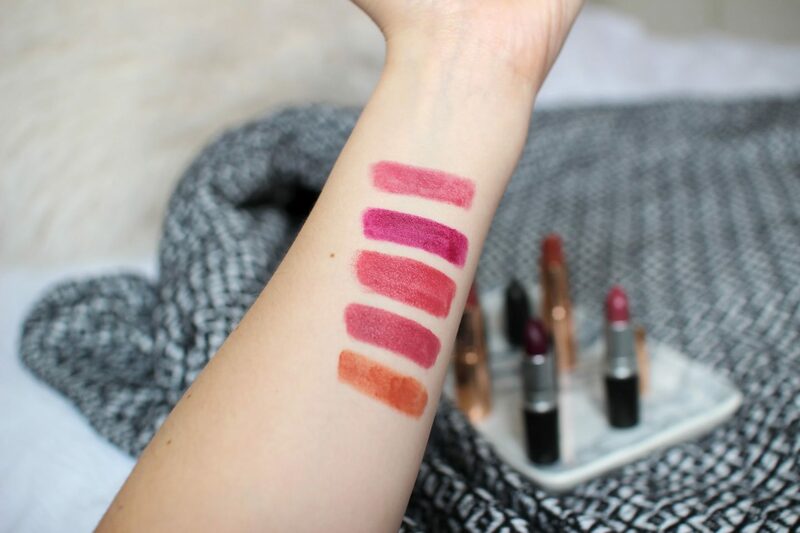 Super moisturising and comfortable to wear on the lips. Out of the bunch this one is the most pigmented and opaque and has that ‘wow factor’. The colour is absolutely gorgeous, incredibly similar to ‘Kiss Chase’. The only difference is Craving is more pigmented. Full review of Craving here.